Sdr. Soon Lip Chee, Sdr. 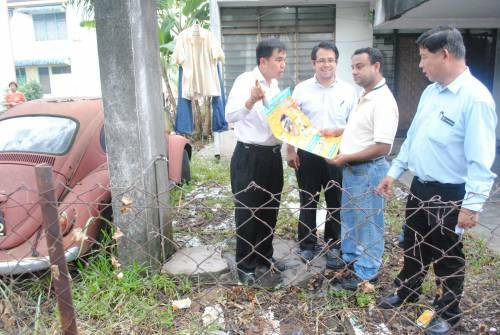 Oon Neow Aun and I visited Taman Nagasari after reports of dengue occurances. MPSP also sent our dengue-fogging task force to fog the area.